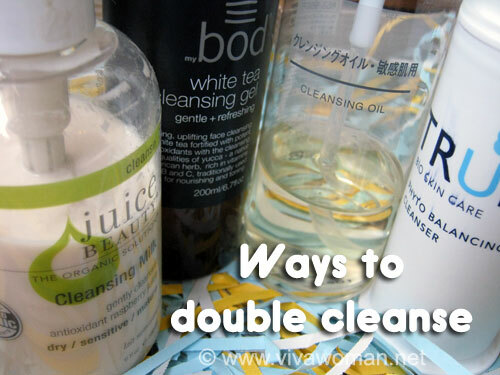 Based on the comments I’ve come across, many of you are already well familiar with the process of double cleansing. The first cleanse is to remove any makeup or excess oil from your face and the second, is to remove all the impurities completely from your face. I often read that double cleanse originates from Japan but when I checked Chizu Saeki’s The Japanese Skincare Revolution, she made no mention of this. All that was mentioned was that makeup should first be lifted from the skin before cleansing. But I guess the concept is very popular in Japan considering that most of the well-known cleansing oil originated from there. Actually, I was already practicising double cleansing as soon as I learned to use makeup. However, then, I used a pre-cleanse product and it was simply known as a makeup remover that really worked like a cleansing milk for the entire face. But at that time, instead of washing off the makeup remover with water, I tissued it off before washing my face with a foaming cleanser. Cleansing oil wasn’t popular or almost unheard of but oil based cleansers were available to remove eye makeup. And when we talk about double cleansing these days, it seems that it always involve a cleansing oil. But must it? Well, I would think it’s a personal preference and it also depends on how much makeup you use on your face. 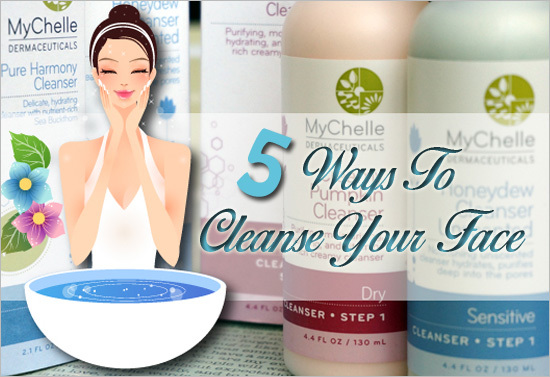 So today, I decided to share six of the double cleansing methods I’ve experimented with you. 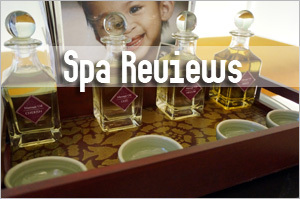 The concept of using cleansing oil is probably still a little strange to those outside Asia. Cleansing oils such as those from Shiseido, DHC or Muji are formulated to melt away makeup completely and yet, be gentle on the skin. You should actually work a coin size amount into your dry face without any contact with water first. Personally, I find that a bit difficult with some of the cleansing oils and so I do use a little bit of water to reduce the friction while massaging. Once I’ve massaged off the makeup off my face, I wash my face with warm water and then follow on with another coin size amount for a final wash. This time, aiming to wash off whatever impurities that was not rid off in the first wash. Most of these commercial cleansing oils do foam a little but they are not drying at all. In fact, they always leave a “film” on the skin after washing and some ladies feel that their skin is not quite clean due to that residue. Recommend for: all skin types & those who use a lot of makeup as this cleansing method removes all makeup effectively while leaving the skin soft and not dry. Leaves a slightly sticky residue behind that some may dislike. As far as I can remember, the makeup remover that I used years ago felt like a cleansing milk. I haven’t tracked their developments but I guessed, the name got changed over the years and now, most of them are widely known as cleansing milk. The good thing about cleansing milk is, they’re cream based and hence, cause less friction on the skin even without water. While they do remove makeup well but with the eye area, you may require the aid of a cotton pad to remove heavy eye makeup thoroughly. So like the cleansing oil, the first cleanse is to remove all the makeup, followed by a rinse and then a second cleanse to remove all the remaining impurities from the face. In terms of residue, I actually find cleansing milk leaving behind a heavier “film”. So double cleansing with milk is not something I favor. 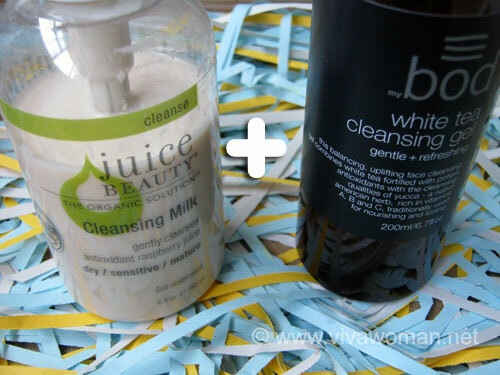 But for some ladies with dry skin, double cleansing with just cleansing milk works very well for them. 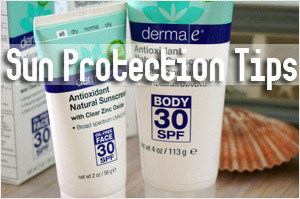 Recommended for: dry skin type & those who do not wear heavy eye makeup. 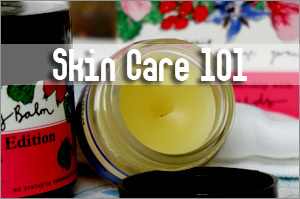 Most people have the misconception that cleansing gels or foaming cleansers are too drying on the face. Well, it really depends on the formulation. 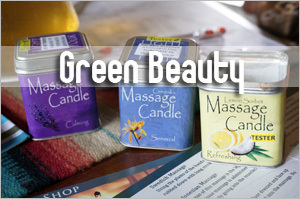 Most natural and organic formulations do not come with SLS and hence, are extremely gentle on the skin. So with the right cleanser, you can use it to remove your makeup first before following on a second round with the final cleanse. But like the cleansing milk, you probably need the help of a cotton pad to remove excessive eye makeup too. It’s not too difficult as all you need is to use a cotton pad to gently wipe the eye area during the first wash. Take note of your strength as you do not want to pull the delicate skin around your eye area. 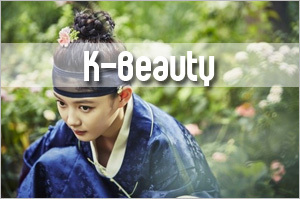 Recommended for: normal to oily skin type & who do not wear excessive eye and face makeup. This is a very popular double cleanse routine for many. The cleansing oil works on all skin types and since it is particularly great for removing oil, is an effective cleanser for removing makeup, even heavy eye makeup. Because of the slightly sticky residue it leaves behind, some ladies prefer to follow on with a cleansing gel or foaming cleanser to get rid of that residue. The cleansing gel should be free of SLS so that it will not remove the natural lipids from your skin. After cleansing, your face should feel soft and not dry. 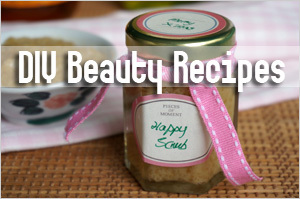 Recommended for: normal to oily skin types, particularly those who like to use a lot of makeup. Likewise, some ladies dislike the sticky residue left behind by the cleansing milk and so prefer to use the cleansing milk to first remove their makeup or surface dirt, followed on by a gentle cleansing gel or foaming gel that does not contain SLS. This is quite a effective double cleanse method except that you might need to put in more effort to get rid of heavy eye makeup with a cotton pad. However, usage of a cotton pad to wipe the eye area may cause excessive pulling and hence, is not encouraged for everyday cleansing. Recommended for: normal to dry skin types and those who do not use a lot of eye makeup. This probably don’t make sense to many of you as it is quite unique to me. It is actually similar to using a cleansing gel twice but the difference is, I use two different cleansing gels. The only reason I do this is because I’m trying to stretch the use of my cleanser, which is expensive. So I pick one that is gentle and cost lesser to remove my makeup, sunscreen and surface dirt before following on with the more expensive, but also gentle cleanser, to give a final cleanse and improve my skin tone. 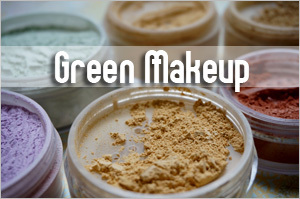 Recommended for: normal to oily skin type & who do not wear heavy eye and face makeup. The method you choose will depend on your skin type, your skin care products, your makeup and your preferences. However, there is no denying that double cleanse is an important skin care routine as your face needs to be really clean to be able to absorb the active ingredients from your skin care products. In fact, a Korean beauty expert actually suggested cleansing three times! I tried that for a short period of time but found it excessive as our skin should not be cleansed in such a way that our natural lipids are stripped off too. And related to that, I’ll say that the choice of your cleansers is important. Choose those that are of mild formulations without harsh chemicals such as sodium lauryl sulphate (SLS), sodium laureth sulphate (SLES) and alcohol denat as these ingredients are extremely drying on the skin in the long run. Do you double cleanse and what’s your favorite double cleanse routine? 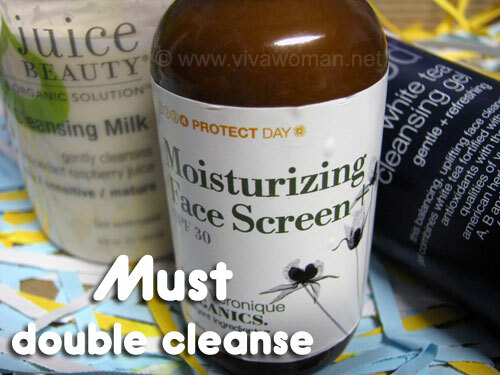 Tomorrow I’ll discuss why you should always double cleanse at the end of the day even if you do not use makeup but for now, come in and share with me, which is your favorite double cleansing routine. Previous Post: « Share: are you into fun & trendy gadgets? I was about to do a similar post, in addition to the “Switching to MILK” post I did a while back. I’ve stirred clear from cleansing oil though not entirely. It depends on the type of liquid foundation I am using and the condition of my skin. Some pple do use toners as the last step in cleansing but increasingly, many have started sneering at this, stating that it means the cleanser is not effective. Anyway, I still prefer pat on type of toner. I hardly wear make up but I still double cleanse~ The concept came from when I first purchase a sunscreen for my face, and the staff suggested using cleansing oil to remove the sunscreen (this was shiseido)! I don’t use shiseido anymore, but I still double cleanse. 1) Like u said, cleansing oil + foaming cleanser (not necessarily a gel), this is economical cos cleansing oil last a long time! but i don’t suggest adding water when massaging, as most cleansing oil are formulated to emulsify with water and will loose its “oil properites” to melt away make up & excess oils on our skin! the cleansing gel i’m referring to is not the foaming gel cleanser that you mentioned above. I think cleansing gel is a unique name used in Japan, many brands here if they don’t have a cleansing oil, they always have a cleansing gel, which is for removing make up/sunscreen. you apply the gel on a dry face and massage it like how you use cleansing oil, the gel will start to become an oil consistency, it massages really well in my opinion and then you rinse with water, the “gel” which is now more like “oil” will emulsify with water and get washed away. I really like using cleansing gel, but the only problem is one tube don’t really last for very long and i considered it quite expensive! In fact i’ve used olive oil, and grapeseed oil respectively for a few months as a first cleanse before. It leaves a really oily residue which i wash off with a foaming cleanser, but didn’t break me out to my surprise. Oh, that’s very interesting! I didn’t know anything about cleansing gel. I should keep a look out for those next time I check out a Japanese store or brand. I tried using natural oil but find it more oily and prefer using cleansing oil. Agree about best not to add water but there were some formula that were difficult to spread well and so had to add one or two drops of water to reduce the friction. I currently reside in Japan, but I first tried them in HK. So maybe singapore would have it too! No, never seen these products around before. Hong Kong has more beauty products than us I believe…even the online shops here tend to only bring in the popular ones. Hey, which brand of cleansing milk are you using? Maybe it’s the ingredients that are helping. Some of the cleansing milk are formulated with lots of goodies. Not using tap water also sounds like it’s doing wonders. But what is non-rinse cleansing water? I see…I think Pei Fang (pf1123) used something like that and reviewed it before. The idea is unique and yes, I’ll probably be like you too, find it strange initially. Mine is more like a toner. Just during lunch today, I told my friend who has pore-clogging problem never to believe a product that can be 2-in-1 (makeup remover and facial cleanser). She says she use the cellnique sebum gel I intro to her and doesn’t work for her after 3 wks. When I ask her further if she does double cleansing, she say she use a neutrogena 2-in-1 cleanser. I knew then why the sebum gel doesn’t work for her. 3. Living Nature Purifying Cleanser – to remove any impurities left. I did a review here but I forgot the exact price. Probably around SGD 25+ to 30 for the smaller ones. 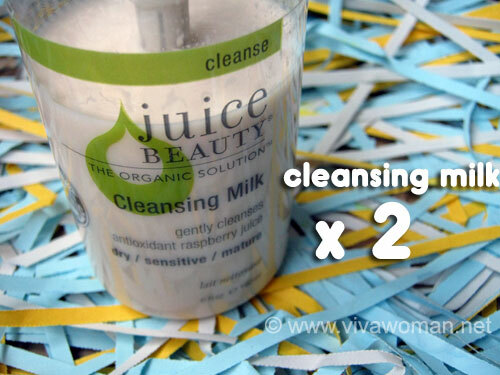 It’s the only organic cleanser I’ve tried aside from Renew Milk Cleanser (w/c is very bad!) so I don’t how it’s quality and pricing are compared to other cheaper organic/all natural cleansers. Okay, will consider that for future purchase. It’s a milk cleanser? Personally, I’m not too fond of milk cleansers. The one I used to like very much and was cheap was from Lavera. But they no longer bring it in. I use a makeup remover (cleansing oil or milk) and subsequently follow my a facial cleanser…non gel preferably. I used to use only cleansing gel which doesn’t foam up as I find that it takes away my facial oil without drying my skin. Now, I find that it feels nicer and to use something foaming/creamy as the 2nd step cleansing. Btw, my aunt told me that she used to visit a dermatologist who told her that there’s no need to buy an expensive cleanser. Just something which can foam and that takes away the impurities. Oh, but I wld have to add that the cleansing gel was great when I was a student and don’t wear makeup…Heck! I wasn’t even wearing any sunscreen then. Foaming cleansers are great if they’re gentle and I find the foam helping to reduce friction and pull too. Have never double cleansed before but now I know the importance of doing so. Like it but gals who used heavy makeup said it didn’t work well for them. Ahh, I don’t wear any makeup. Too much fuss required. Should start wearing sunscreen soon. Yes, the effects are telling. Btw, The Organic Pharmacy is something I’ve been eyeing but their prices are rather high. tell me about it. I saw some from a store called Bud Cosmetics, but the markup was just way too high for me to purchase there. So I got my friend to get it for me when he’s in the UK & bring it back for me. I’ve tried the rest of their products as well & they are pretty good. I see…I haven’t checked online prices but Bud recently dropped their prices so not sure if it’s worth checking out. Well, they’re definitely on my want list but I’m unlikely to get them sooner. But glad to get your feedback that they’re good. Yup, they recently dropped their prices, but still expensive. I have checked out their website on the prices last week. But I have to alert you first, when I first use their products, I experienced a lot of purging (blackheads/whiteheads/small bumps). But after 3 weeks, my skin is better than before. Probably is because I used to use commercial brands & TOP purged all the chemicals out. For me, I double cleanse when I have makeup on or sunscreen. Usually with my DIY Cleansing Oil (Jojoba + Grapeseed and with a drop of some other oil depending on what’s available on my DIY shelf, like Camellia Sinesis or Apricot Kernel – with a preference for lighter oils for my combi skin). The Olive PEG 7 Olivate (from GoW or Whoopee) makes it water dispersible and rinses off quite well. I follow up with either my usual Avene soapless cleanser, or herbal soap or Ginvera Marvel gel (too many things lying around!). 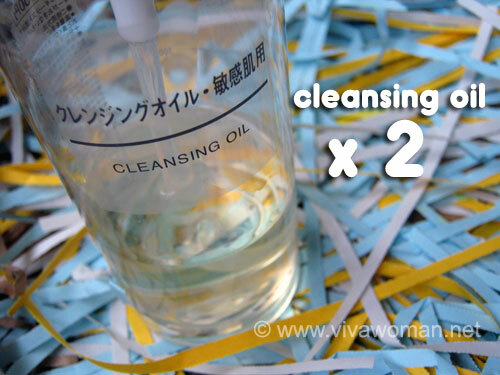 Double cleansing does indeed help to minimise breakouts and the oil cleansing helps in removing oil plugs easily. But the aftercare is equally important too, since double cleansing is somewhat harsh on the skin regardless of the cleansers used. It’s important to follow up with getting the moisture back into the skin with the right serums and moisturisers! Yes, you’re absolutely right. After cleansing care is very important. Audris, do you mind sharing your exact ration for the Jojoba/Grapeseed cleansing oil? I am using pure Jojoba at the moment but your mix sounds interesting enough for me to try out! Maybe adding some EO would be efficient too? i was also wondering… i actually like to wash my makeup as soon as i get home, but then i also like to wash my face after i have a shower. does it still count as a double-cleanse even if im doing it a few hours apart? ill take my makeup off with an oil cleanser and then moisturise, then when i come to have my shower and night ill wash my face with regular facewash and moisturise. i dont use facewash in the morning 🙂 is this okay?? Doesn’t count cos you apply moisturizer immediately afterwards. It’s still a single cleanse. As for morning, yes, not a big problem if you don’t use a face wash because the face is not dirty. Maybe just cleanse with water. At one stage, I’ll just wipe with toner. Seems like I am one of the poor people here. 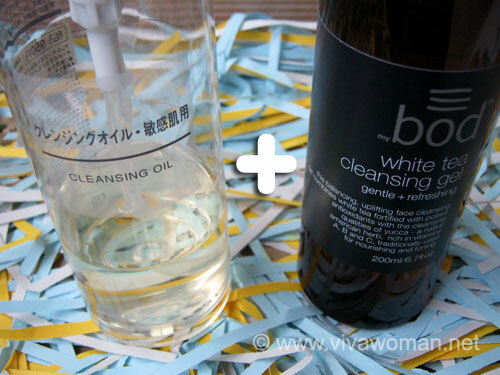 2) on normal days, I usually do double cleanser with clean and clear together with a toner. But I am interested to buy organic cleansers from John Masters (Rose foaming face wash) and their jojoba Exfoliating cleanser and replace my clean and clear cleanser. Waiting for shinorganic to replace their stocks. That’s still double cleansing…the products don’t have to be expensive as long as they work well for you. Never tried John Masters Organics facial cleanser. I’ve only tried their serum and moisturizer so far. 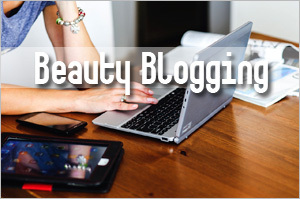 I will definitely try that out and leave a comment after 1-2 weeks in organic skincare post. So that’s a 3-step cleanse. I still do that some days when I put on extra makeup like a BB cream. BB creams are quite heavy and need more cleansing. When I have full makeup on, I will usually cleanse two times with oil followed by ah yuan soap. When I’m having light makeup on, I will cleanse once with oil followed by soap. Recent months, bought dhc oil cleanser which is a big love for me. After cleansing, my skin is thoroughly clean without any dryness like with the shu uemura oils I used to use many years back. Hence, with this oil, I’m able to just use this alone to rid makeup on my lazy days. It cleans very effectively even when my face is wet. Personally prefer this to fancl which was excellent too. Another love is jojoba oil but a tad troublesome to use coz it feels too thick and oily on the face after use. Definately can’t skip my ah yuan soap if I were to use this. Actually the triple cleansing is good if you use thick makeup. I’ll go for a cleansing milk followed by two washes using cleansing gel. I used Ah Yuan’s soap for my face for a period of time…it’s a good soap but I don’t like the squeaky clean feeling. I have been using cleansing oil and Kose cleansing powder for so long and still love it. I think it is secret to have clear skin for me. I used to think I am allergic to certain makeup ingredients or sunscreen so I stopped using makeup for a while. However later I discover that it was from not cleaning my face properly causing all little tiny bumps on my face. Now I don’t have selecting and putting makeup on my face anymore as long as I cleanse my face properly. Oh cleansing powder…that’s very interesting and something I wanted to try for awhile but never got to it. Yes, what you say is true; cleansing is very important especially if we use makeup. The less I do to my face – in terms of cleansing, the better my skin behaves. At night I remove eye make-up with Sephora’s eye make-up remover, and then I gently yet thoroughly cleanse with Olay’s Gentle Foaming Cleanser, wait about 20 mins and then apply Retina-A. Morning I just let the water from the shower cleanse my skin. I do like trying new products and reading new ideas. I am in the US and although it’s not as common, double cleansing is not a completely new concept. Dernalogica carries an item called “PreCleanse” that has many different carrier and essential oils, plus some emulsifiers so help rinse it away completely. You can customize with a foaming face wash or milk. Tu’el also carries customized cleansing oils and face washes. Both require adding cool water to your hands bit by bit until the oil starts too dissolve and you can feel your skin. 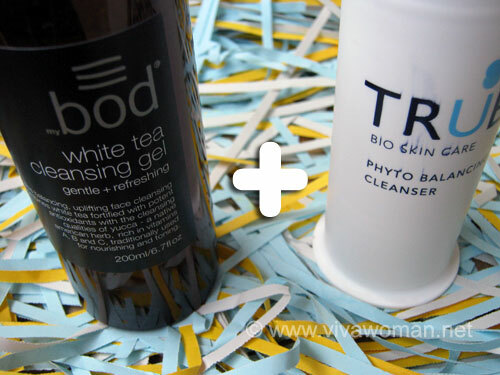 I love both of these, but might try to make my own cleansing oil and will report the outcome! I think so too…those makeup remover I used years ago were from US brands. So the concept was already rooted but more like a pre-cleanse routine but really, fits into the double cleansing concept we’re discussing. Hope you’ll enjoy using the cleansing oil. I tried making one myself and I did like it but now, am so lazy and so just sticking to commercial products. Wow, 4-step! Is it helping to control your acne breakout? im still trying to find my way around an effective double cleansing routine that doesnt make my skin feel uncomfortable. i’ve got an Amino Purifying Cream Cleanser from the Skin Pharmacy (for a dollar! 😀 there was an internet promotion at http://www.smemarketspace.com.sg/Product/ViewDetails/1374. was suddenly inspired to do a search for them when i was waiting for my bubble tea at novena square 2 which stuck an article about their city square mall outlet and included the description for the skin pharmacy). on day 2 wearing pressed powder and sunblock and brows and eyeliner, it removed the foundation and sunblock after double amino (still leaving a soft but squeaky skin) but not the brows and eyeliner (strange). im still trying to find my way around this one.. this is definitely not a morning cleanser for me though. is a tightness around the corners of the mouth different from a general tightness of the skin? Hey Raelynn: Amino leaves that squeaky feeling on the skin. I use a sort of massage cream that works as an exfoliator with this ingredient. My understanding is not to use it too frequently in a week. But it was really good in helping to clear out my acne marks and so I was using about 3 times a week. Now, I cut to just once. Not too sure about tightness around the mouth. I generally read tightness as something not too desirable for our skin unless it’s just temporary. Yeesh, didn’t realize that aminos could be drying! The assistant(or was that pharmacist?) at the Skin Pharmacy actually told me the cream cleanser was formulated for dry skin and not oily skin. *faints* I can’t imagine if someone with super dry skin were to give this a shot. Regardless, good product but meh… I was so surprised when I read your comments. And then I tried it on my skin: you’re right! Guess I’ll use it only once a week. Btw, is immortale helichrysum good for problematic combination skin? I remember Helichrysum being good for skin regeneration. I used the floral water for scar healing and it was fairly effective. My skin is combination and at one stage, problematic and it worked well…no problems. Also, which massage cream do you use? Though unsure if it’s okay to exfoliate thin and sensitive skin. It’s a salon product from True Beauty. Awful smell but works well for me when I had acne issues. But it’s a cream that needs another lotion to mix in. Yes, I double cleanse. I start with using a facial towelette from “Yes to Cucumber” from Target in the US. A 98.7% Natural Product. Next I use a gel cleanser since I have oily skin from either Mychelle or 100% Pure. Oh a Yes to Cucumber towelette. We have the brand here but don’t think they brought in the towelettes yet. I don’t quite like using natural oil because like you mentioned, they don’t emulsify and so is more sticky. One of the best to remove eye makeup is castor oil and you might want to try that for the face. i have decided to double-cleanse after finding out the need even if i only hv sunscreen on.. but hv not managed to get a cleansing milk yet..
i’m using kiehl’s cleansing wash now. pretty good.. gentle on the skin. If Kiehl’s cleansing wash is gentle enough, you can double cleanse with that even. I basically double cleanse with my cleansing gel if I don’t use makeup. any good cleansing cream that can remove light makeup to recommend? although I do not have dry skin, I really like the feeling of the cream on my face while massaging. I have tried laniege’s and kose’s cleansing cream but none of them impressed me enough to repurchase. I need one that I can buy easily too! 🙂 thinking of origins’ one, anyone uses it before? Never tried the Origin’s one. I used to like using Lavera’s milk cleanser but that one is no longer available. Another reader recently mentioned Bod Cleansing Milk, which is at Watsons. Maybe you want to try that out? I think you can try the Skin blossom cleansing milk by Kanga Organics. It’s not bad at removing light makeup. You’re right…clay is quite drying so may not work for all skin types. But it can be very effective in cleansing. Aiyah…this is very strange and actually, I started noticing this too when I comment on other’s blog. I don’t know what’s the issue. Seems like a wordpress bug that I can’t do anything about. i read the skincare revolution as well as her chinese books. I thought that Saeki doesn’t encourage oil cleansers? I haven’t come across that info in the book…maybe I’ve missed it. Why doesn’t she encouraged oil cleansers? It’s popular in Japan isn’t it? Yes. I read about that point in one of her chinese translated books as well. There were no reasons given for her dislike of oil cleansers. I infer the reason from other stuff written. E.g. We shouldn’t buy any makeup/skincare items from convenient stores because convenient stores are for selling rice dumplings. What I understand is that the cleansing oil started from humble beginnings and were sold in convenient stores in Japan. DHC, if I’m not wrong. 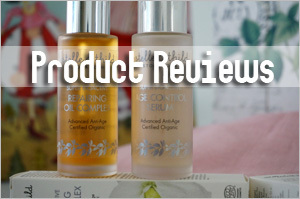 It is until quite recently that high end brands start to sell cleansing oils. To pf1123: Ah…I remember now that she didn’t encouraged buying “drugstore” type of products cos they’re inferior in terms of quality in her opinion. Actually, she didn’t discussed too much about the ingredients so things may have changed quite a bit since her time? Picked up another of her books during the kino sale. 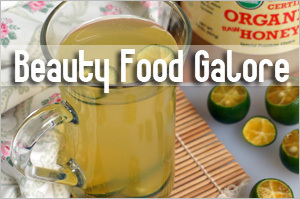 In this book, she emphasizes on not over cleansing our skin. She said she doesn’t like oil cleanser, which is popular in japan, as people tend to double cleanse to remove the feeling of oil. Secondly, she emphasizes that if we take 30 mins to pit on makeup, we should spend 30 mins cleaning it off – to me, that means double cleansing!!! The 30 minutes is too much…but I get the gist of her intentions is that we should cleanse thoroughly. I think no issue with double cleansing as long as cleanser is gentle. I noticed she doesn’t discuss ingredients and her recommended products aren’t so great IMO. As long as your cleansers are not stripping away your natural lipids and you feel your skin is cleansed and still soft and not tight, it should be fine to double cleanse. Most facial salons double cleanse too. I’ve also moved away from oil cleanser cos I now prefer cream cleanser. But while using oil cleansers, I have no issues with them. Hmmm… now I’m wondering whether my current regime of cleansing oil + cleansing milk + hydrosols(either witch hazel or something else) + moisturising cream is okay or not. Got sensitive combination skin: dry, normal and oily. =P My skin was actually getting much better but then, I went for 1 reiki session and my body went all upside down as certain things reset back. Now going for Quantum Touch instead but no more sessions until I go for the medical tests. So yeah, I now have super oily skin again… ugh. Your cleansing routine sounds good. I think your problem maybe internal. Anyway, I’m trying out a nutrition drink now and will review in time. One of my readers started drinking and had good results and so did my hubs – his sinus went away. The amazing thing about the drink is that it repairs our weakest organ and the results are quite fast. I went for the talk and was told that normal food we take, even the organic ones will take awhile to be absorbed in our body. Well, I should be able to review it in two weeks’ time. Keep a lookout. It might be something that can help you. But it is not cheap – $200+ for a month’s supply. Thanks! Skin Blossom’s milk + cream are good for me even though the milk *gasp* contains some alcohol. Yeah, it’s most likely internal. Under QT, my skin is slowly getting better but it takes time and is kind of pricey too. I’m actually thinking of going for donation-based distant healing instead… haha. Ahhh that sounds interesting. Though right now, I’m staying off all internal drinks and so on because I’m on medication and there might be some sort of effect(contraindication, neutralisation, enhancer or lessener) as it’s the type that affects the brain. Still, the drink sounds very interesting! =) It might be of some use to those who’ve multiple health symptoms but who aren’t on medication or whose medication isn’t too complicated. Btw, I’m taking a lot of stuff like amla powder, gotu kola powder, flax seed oil and cod liver oil. That’s not counting all the stuff like oats, oat bran, sesame seeds and healthy oils I take. =P I even eat only steamed vegetables. And I try to drink lots of water everyday. And have to eat some amount of salt because I need more of it. But my problem is sticking to it… I can be so lazy at times. =) And… potato chips. =P Yummmm.. Lay’s and Ruffles! Not good for my body but so yummy. Also, saw your comments regarding Giovanni. They’re supposedly organic but there is just something fishy about their shampoos and conditioners. Organic stuff is supposed to last for only a few months(6 months or a bit more max) but their stuff lasts forever. This makes me suspect they add in a lot of preservatives and I suspect their conditioner might have silicon or something similar because my hair comes out totally coated, like those Panthene conditioners. And I found out that I could not use their conditioner too often or my hair would all drop out and I’d feel something clogging my scalp. Oh, was using Tea Tree Range and my skin(including scalp) tends to be super fine and clogs easily. Using EO Rosemary and Mint right now. I think I might need to use less because a bit of my hair keeps dropping out. Oops? I tend to press a full pump. =P And I shampoo my hair twice ‘cos my house is fairly dirty. My scalp is still a bit itchy but there is a lot less flaking, yay! Bought from Sunny’s shop, btw. The problem with some organic products is that the formula may use 70% certified organic ingredients but the remaining 30% can be chemical synthetics. Actually, some of the ingredients if listed at the end, aren’t too bad. Personally, I don’t mind parabens at the end but that’s only because I’m not so health conscious. Your hair is dropping with the EO shampoo…doesn’t sound right. If you haven’t had this problem before using this shampoo, then perhaps it is not working well for you and you should stop using it. Oh, was losing quite a bit of hair with the one of the Chagrin Valley shampoo bars I’d been using for quite some time. And it was not curbing my itchy scalp so I switched. Love this entry, especially on “Using a cleansing gel + another cleansing gel”. Since we both use TB’s cleanser, you know the pinch in the pockets! I am really going to try this out, with the BOD cleanser. Gonna stretch the TB cleanser from now!! Yes, that’s how I stretch…I keep TB cleanser to once a day usage now. I usually only double cleanse on the days I wear makeup, but in a slightly different way than what you mentioned. This is very nice, thanks a lot. Hi sesame,I am a teenager,16 and have blackhead prone skin.can I double cleanse with grapeseed oil that is made to cook food and then oatmeal(ridiculous).i put grapeseed oil on face and then wash again with oats.. I suggest you use a proper, gentle foaming cleanser without SLS at the end of the day. The oil might just aggravate your blackheads so use it for application but not to wash.
Hi there, im kind of lost as to what I can use. I’m very bad with my skin so I’m making a change. The only problem with me is that I don’t wear makeup so I’m not sure where exactly to start? ?